Indebted to Bethanyâs late father and his close friend, the earl offers a perfect solution for both of them: a marriage in name only. Perfect, if only they werenât so irresistibly drawn to each otherâand if Bethany hadnât found herself falling in love with a man even more mysterious than his reputation. Perfect, until she unwittingly learns heâs protecting her from a threat to her life. To Mark, Bethany is just another assignment, a woman heâs convinced is hiding something. His offer of marriage was meant only to make it easier to safeguard her. Susan was born and raised a California girl but is grateful to have lived on the Oregon coast and in the Rocky Mountains of northern Utah. Sheâs now enjoying living with her husband in the incomparable beauty of the Redwood forest, nestled against the rugged coast of Northern California. Susan raised a tribe of children, making ends meet as a registered nurse and lactation consultant, and now her tribe members have tribes of their own and she just doesnât get to see enough of them. She loves to travel and is thrilled with a good movie or a great book, but writing is her passion. She writes almost anything, especially epic fantasy and romance. 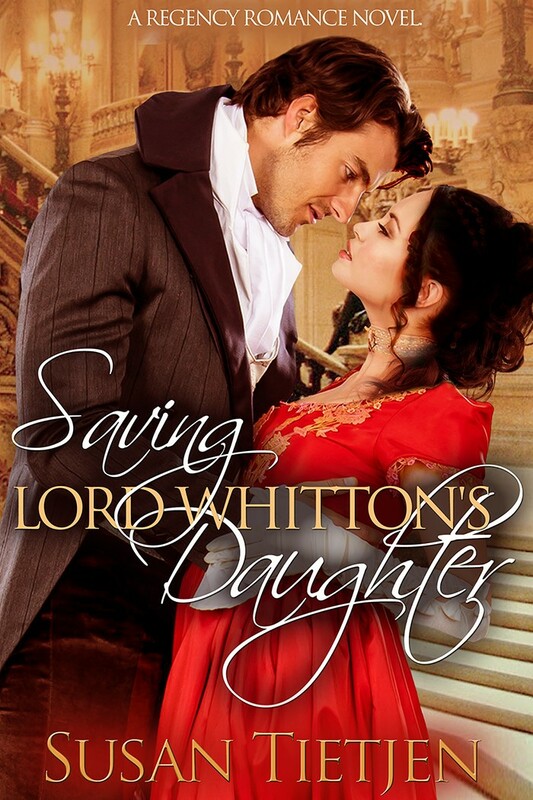 Saving Lord Whittonâs Daughter is her first Regency Romance. 1) Of course, my very favorite pastime is reading. (Writing is both my job and my lifeblood, so one cannot replace the other!) I love almost every genre, everything from womenâs lit and romance (of all kinds) to fantasy, science fiction, mystery, and dystopian. I love so many writers and specific works itâs hard to pick just a few. Iâm just as excited about Harry Potter and The Hunger Games as I am by Jodi Picoult, Dean Koontz, Anne McCAffrey, and Robin Hobb. Iâve savored every word of The Lord of the Rings (3 times), and devoured Sarah Edenâs work. I admire Brandon Sanderson and David Gemmell, and loved the Divergent books and the Twilight series. My favorite Regency Romance is The Scarlet Pimpernel and Iâve read all of Georgette Heyerâs and Barbara Cartlandâs Regencies as well as a number of the Scottish Highland time-travel series. Mostly, I love authors who can create a world for me that allows me to step away from my own and enjoy an adventure. 2) One of my favorite leisure-time activities is going to the moviesâand enjoying a bucket of popcorn. Iâd go every week if I could. 3) I love to knit and crochet and have won awards doing so. Iâve made everything from clothes, childrenâs sweaters, baby blankets, beanies and booties to jackets, afghans, and shawls. 4) I love to travel. Iâve been from Florida to San Diego and Arizona, from Portland to New York, from Texas and New Mexico to Colorado, from Iowa, Nebraska and Illinois to Hawaii. I love living near the beach and the redwood forest, but my favorite vacation spot was Hawaii and Iâd love to go there again. However, if I could have the dream vacation of a lifetime I would love to follow my familyâs roots to Ireland, England, and Scotland. 5) I love sushi. Iâve eaten it at all types of restaurants all over the country and even in Hawaii. Iâve even learned how to make it myself and think I do a pretty darn good job of it. In fact, I love to cook so much I have at least one or two recipes in almost every well-known cuisine in the world and have created so many of my own recipes, Iâve sworn someday I might publish my cookbook. Maybe I will. 6) My list of favorite actors is way too long. I count myself lucky to have lived long enough to be able to jokingly claim a relationship with some of the greats. I cried when Jimmy Stewart, John Wayne, and recently Sally Field died. There are so many wonderful new actors and actresses coming into their own that I look forward to decades of brilliant performances. Iâve loved Sandra Bullock since her career began; I think Jennifer Lawrence has a great career to look forward to; Scarlett Johanssen is fascinating; and I always have and always will adore Tom Hanks, Tom Cruise, Denzel Washington, Juila Roberts, Jennifer Garner and Reese Witherspoon. I will never forgot the place carved in my heart by the stars of Harry Potter: Daniel Radcliffe, Emma Watson, and Rupert Grint or the amazing Lord of the Rings crew. 7) I still love the songs of Simon & Garfunkel, especially âThe Sound of Silenceâ and âScarborough Fairâ, and âAngelâ by Sarah Mclachlan. I love Celtic Woman, Kelly Clarkson, Lisa Kelly, The Piano Guys, Mercy River, David Archuleta, and Celine Dion to name a few. 8) I love animals. I once considered becoming a large animal vet. My first true love was with horses and I wanted a career that would keep me around them every day. I feel so fortunate that I not only eventually had the opportunity to own horses, I rode, trained, showed, and bred them. My husband says my relationship with horses is uncanny and calls me a horse whisperer. I donât think Iâm that great, but I would not deny that they seem to like me, too. 9) My husband and I have 8 children (7 living) and 22 grandchildren with #23 on the way! Weâre very proud of our familyâs accomplishments and we love them all. 10) My father is still alive at a robust 89 years old. He says he plans to live to 102. That means heâll outlive me, âcause Iâm not sure I want to live that long. Unless I can keep on writing! âIâll hold you up,â Locke said, raising her enough to tug it free. She weighed almost nothing, but he was more than overwhelmed by the sweet lemony smell of her. When he at last lowered her to the ground, he found himself unable to let go, at least until she turned to face him. Emerald eyes opened wide, Lady Bethanyâs cheeks flushed prettily. Was that wonderment on her features? He didnât see the slightest hint of fear in her. He felt her gaze admire him, drifting from his brows to his nose and arriving at last at his mouth. Her hands, so small and delicate against the firm muscles of his chest, gave no hint of the resistance sheâd shown last night. She stood perfectly still, obviously aware that his breath had faltered. Did she realize what she did to him? Had she any idea how much he wanted to kiss her? And then he saw it, the glimmer of desire in her eyes that battered at his resolve. He raised a hand to brush a stray hair from her cheek and her eyelids fluttered shut, a tremble sweeping over her. His resistance melted and he traced her jaw to her chin and lifted it, leaning towards the soft pillow of her lips, wanting more than anything to taste their sweetness. ​Loree Lough has written a delightful and charming historical romance that readers will love. From page one, Lough pulls readers in with a bit of thievery and action. As the story progresses, readers will fall in love with Ruby McCoy as she attempts to pay for and right the wrongs of her thieving and murderous father. This is a heartwarming story that will capture the emotion of readers and keep them captivated until the very end. I would recommend this excellent story to readers that enjoy historical romance. A review copy of the book was provided by the author via CelebrateLit. A review was not required and all views and opinions expressed are my own. In honor of her tour, Loree is giving away her books: Secrets on Sterling Street series, Prevailing Love (3 in 1), Pricilla Hires a Husband, Lone Wolf, and Emma’s Orphans, a KJVER Study Bible, and an Abba pillar candle in a wicker basket! Click the link below to enter; be sure to comment on this post to claim your nine bonus entries for this giveaway! Enter the giveaway HERE. November 26: A Simple Life, really?! Someone has noticed me. A secret admirer? A man with a good heart, who sees how much I actually need help, even though I never admit it? Maybe this is the beginning of a beautiful story—a romance full of hope and second chances and love. buckling with his killer smile. But as Kale embraces new possibilities, a staple in her life—a man who is kind and steady, not to mention necessary for her injured daughter’s recovery—also snatches her attention in an unexpected way. Will the one pursuing her with his secret gift and kind gestures be the one her heart longs for in the end? She would love to hear from you! Please visit her at https://www.authorjenrodewald.com or on Facebook at https://www.facebook.com/authorjenrodewald or email her at write2edify@gmail.com. Jennifer Rodewald has written an adorably charming story that readers will enjoy from page one. This heart-warming novella is an absolute delight that readers will not want to miss. Rodewald brings to life her characters and their easily relatable emotions dealing with the struggles of life, overcoming those struggles, the importance of family, and of course falling in love. Filled with the Christmas holiday spirit, this story is a must read for this time of year! I would recommend this sweet and delightful story to readers that enjoy contemporary romance holiday novellas. A review copy of this book was provided by the author via SLB Tours. A review was not required and all views and opinions expressed are my own. I would consider this an oldie, but a goodie! I started reading Lori Wick's book when I was going to the bookmobile stop at the elementary school near my house. This was before my small hometown city got a library in 1999. Yes. I have been reading Lori's books that long. And The Princess​ is among my top favorites. Pen in hand, Daria Parker bent over her personal journal, her eyes and mind intent. Off the charts and on the run. International pop star Margo Hartman could use a night off. A grueling tour and overbearing entourage have sent her over the edge. It’s time for this diva to disappear. And who would think to look for the superstar in a small town in Ohio? Sheriff’s deputy Brock Moore is undercover as well. He knows Margo isn’t who she appears to be, but her uncanny resemblance to a local Amish woman is raising all sorts of questions . . . the kinds that make her a target for a killer. Both are determined to find answers, but their mutual attraction stands in the way of either of them doing it alone. Is finding Margo the solution to Brock’s problems or the just the beginning . . . ? ​USA Today best-selling author Jen Turano writes contemporary and historical romances with quirky characters and unusual storylines. Just outside Denver, Colorado, Jen and her husband live as empty-nesters, and they do so fabulously. Contact Jen at jenturano.com. To say that my entrance into the publishing world was a tad difficult is certainly an understatement. My very first attempt at writing was centered around a middle grade book, specifically written for my son who was in the third grade at the time. After finishing that, and sending it out to all of five companies, none of whom represented middle grade, I then moved on to young adult with a little more interest sent my way, but no success story to report in the end. Not one to embrace the idea of complete and utter failure, I then tried my hand at a contemporary romance, moved on to what I assumed was a delightful regency romance, but one that turned out to be not that delightful, at least according to numerous agents, and finally landed on gilded age stories, filled with quirky heroines. That is when I finally received my very first publishing contract, which then saw me catapulted into the very weird world of publishing. After completing the second gilded age story of my two-book contract, I found myself with some time on my hands as I waited to see if anyone would read my stories, which might then result in an offer of additional book contracts. As I waited, I decided I might as well keep writing, so decided to try another contemporary story, although my agent at that time suggested I try to write an Amish book since she had numerous requests from publishers for those specific books. Because my writing voice is not what anyone might consider normal, I really didn’t believe I’d be able to do justice to an authentic Amish story. Because of that, I settled on the idea of writing a contemporary romantic suspense, being a huge fan of that genre. I had a vague notion of exploring a theme centered around a dog walker who might stumble on a body while walking her pack of dogs, or perhaps have a storyline that centered around a makeup artist who witnessed a crime while setting out her makeup for a client, but those ideas went straight away when I pulled out the vacuum one fine day. Vacuuming, as well as staining the deck, cleaning the shower, and power-washing the garage, are my go-to activities when I need to get the muse working right before I start a first draft. On that particular day, as I pushed the vacuum around the house, I suddenly had the most intriguing idea – an idea that started off with two delightful little words…What…and…If. That was all it took for a premise to begin festering through my mind, a fester that grew into this – What if three Amish children were stolen straight out of their beds, never to be seen or heard from again until… Now here’s where it gets interesting. I decided to have a woman by the name of Margo Hartman, an international superstar no less, stumble into this small Ohio town quite by accident, and…she happens to bear an uncommon resemblance to an Amish woman who lives in this town. To add an addition sense of intrigue, someone immediately begins trying their very best to kill poor Margo. By the time I was done vacuuming, the storyline for “Finding Margo” was firmly cemented in my mind, which translates into Jen had no choice other than to write the story. However, before my agent at that time found a home for the manuscript, I signed another contract for more gilded age books, which meant I did not have the time to commit to what was certainly going to have to be a three-book series since, well, there were three Amish children who’d gone missing. Fast forward around five years and I found myself a little ahead of schedule at exactly the right time. There was a new publishing house in town, my current agent remembered me talking about this quirky book I’d written long ago, and as luck would have it, I found the flash drive that’s been home to “Finding Margo” for all these years. Since my writing style has certainly changed since I first wrote Margo’s story, I ended up rewriting the entire book, and I must say that I’m still just as intrigued with the storyline as I was when it popped to mind while vacuuming what seems like ages ago. I’m just tickled to death that Margo Hartman has finally found her way out of a flash drive and onto the pages of a book. I’m hoping readers will enjoy her as much as I enjoyed writing her. Thank you so much for taking the time to visit with me today, and for supporting my books over the years. I cannot properly express how important all my readers have become to me, and I’m incredibly thankful for every one of you. You’ve brightened up my life and without you, well, I wouldn’t have anyone to share the stories that always seem to rumble around my mind. When I first learned that Jen Turano was trying her hand at a contemporary fiction novel, I wasn’t sure how I felt. But in true Turano Style, the author delivered a story, that although obviously very different than her historical novels, is beautifully written, enjoyable, and inspirational. Readers will at once be drawn into the story of pop star Margo Hartman and anticipate what will happen up until the very last page. Sweet and filled with entertaining characters and a plot involving a bit of suspense and mystery, readers will be delighted with Turano’s latest release. A review copy of the book was provided CelebrateLit via the publsiher. A review was not required and all views and opinions expressed are my own. To celebrate her tour, Jen is giving away a $25 Amazon gift card and signed copies of her book! Click HERE to enter. Be sure to comment on this post to claim your nine entries on the giveaway! In 1917, the Great War seems far from Logan, Utah. But soon it will change the lives of suffragette and mechanic Clara, Swiss-German immigrant and LDS convert Trudi, Marine Corps volunteer Reed, and Shoshone seeking U.S. citizenship Joseph. This novel weaves real events with compelling fictional characters into a sweeping tale of war, romance, self-discovery, and sacrifice. E.B. Wheeler grew up in Georgia and California. She earned her BA in history from BYU and has graduate degrees in British history and landscape architecture from Utah State University. She’s the award-winning author of “The Haunting of Springett Hall,” the historical romance “Born to Treason” and is a member of the League of Utah Writers. She lives in northern Utah with her family. Jeff Bateman served in the U.S. Air Force for 32 years, retiring as a Colonel in 2010. He holds a BA and MS in Criminal Justice, an MA in History and an MS in Strategic Studies. Following his military career, Jeff worked as a civilian historian at the Air Force Research Laboratory and the Air Force Flight Test Center. He teaches American Military History and U.S. Institutions at Utah State University and is a member of the League of Utah Writers. He has taught workshops on military writing. Jeff lives on a mini-farm in the mountains of Northern Utah, where horses, gardening, and playing the bass fill every minute he is not writing or teaching. This is book one in the Cactus Creek Challenge Series. I won a copy of this book in a giveaway a while ago and still have yet to read it. But I saw it around social media quite a lot when it first released and was super excited about it. Still am. I am hoping to read it soon!! "You'd think after all this time I'd be over him." For eighteen years, Lord Gilbert has been tortured over a grievous lapse in judgment. Bitterness has tainted his interactions with the people of Moreland and his relationship with his only daughter, Lady Joanna. With a wolfhound guarding her around the clock and no freedom to leave the castle grounds unattended, the only time Lady Joanna can be alone is when she sneaks out through an old castle tunnel to visit the healer Agnes in her cottage by the sea. One morning as Lady Joanna approaches the cliffs, she discovers an injured man. She immediately goes to Agnes for help. The wounded stranger is Sir Lukas, and while he recovers, he makes plans to identify his attackers and their motive. Upon learning that Moreland’s wool has been stolen, Sair Lukas comes to believe that the crimes are related and point to a much more sinister plot. When Lord Gilbert announces an archery tournament, the prize being Lady Joanna’s hand in marriage, it attracts noblemen from across the land, and suddenly Sir Lukas’s pursuit of the villains takes a different turn. As Lady Joanna’s and Sir Lukas’s feelings for each other grow, the stakes soar, and only Sir Lukas’s skill with a longbow can save them. Siân Ann Bessey was born in Cambridge, England, and grew up on the island of Anglesey off the north coast of Wales. She left Wales to attend Brigham Young University and graduated with a bachelor’s degree in communications. Traveling has given Sian a deep appreciation for a world full of diverse cultures. Through her writing, she introduces her readers to some of the places she has come to love— especially her Welsh homeland. 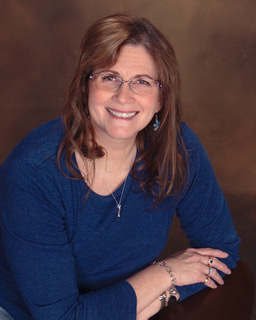 Sian is the author of several LDS novels and children’s books. She has also written articles for the New Era, Ensign, andLiahona magazines. She and her husband, Kent, currently reside in Rexburg, Idaho. They are the parents of five children and the grandparents of two beautiful little girls and one handsome little boy. When Ruby McCoy arrives in Fairplay, her ornate carriage is followed by an entourage who heft steamer trunks, hatboxes, and traveling bags into the hotel…where she has booked the entire second floor. Upon her notorious gangster father's death, the now-wealthy Ruby, hiding under her mother's maiden name, set out to right her father's wrongs. Ruby is determined to spend every penny of her inherited "blood money" on those who paid the price for her father's crimes. Sheriff Rex Truett doesn't trust Ruby and doesn't care who knows it. The keeper of Fairplay's law and order makes it his business to find out why a stranger, especially a beautiful, spoiled, rich, female stranger, would set up businesses, donate to schools, hire workmen to rebuild houses, and provide access to the best medical care. But when a typhoid epidemic sweeps through the city, he is forced to reconsider. Will Rex blame Ruby for her father's sins? Or will he accept the possibility that she is trying to create and feel the peace her father stole? At last count, best-selling author Loree Lough had 104 award-winning books (nearly 5,000,000 copies in circulation and 5 titles that earned book-to-movie options), 68 short stories, and 2,500+ articles in print. Loree and her husband split their time between a home in the Baltimore suburbs and a cabin in the Allegheny Mountains, where she continues to hone her "identify the critter tracks" skills. Her favorite passtime? Spending long, leisurely hours with her grandchildren...all seven of them! She loves hearing from her readers, and answers every letter, personally. You can write her @ http://www.loreelough.com. Loree Lough has written a delightful and charming historical romance that readers will love. From page one, Lough pulls readers in with a bit of thievery and action. As the story progresses, readers will fall in love with Ruby McCoy as she attempts to pay for and right the wrongs of her thieving and murderous father. This is a heartwarming story that will capture the emotion of readers and keep them captivated until the very end. I would recommend this excellent story to readers that enjoy historical romance. A review copy of the book was provided by the author via Prism Book Tours. A review was not required and all views and opinions expressed are my own. Having escaped Egypt with the other Hebrews during the Exodus, Shira is now living in freedom at the foot of Mt. Sinai, upon which rests the fiery glowing Cloud containing the shekinah glory of God. When the people disobey Yahweh and build a golden idol, the ensuing chaos gives Shira an unexpected opportunity to learn the arts of midwifery. Although her mother wishes for her to continue in the family weaving trade, Shira's gifts shine brightest when she assists with deliveries. In defiance of her mother, Shira pursues her heart's calling to become an apprentice midwife. When a delivery goes horribly wrong, Shira finds herself bound to a man who betrayed her, the caretaker of three young children, and the target of a vengeful woman whose husband was killed by Shira's people, the Levites. As contention between the Hebrew tribes and the foreigners fans the flames of another dangerous rebellion, Shira will come face-to-face with the heartbreak of her past that she has kept hidden for so long. How can she let go of all that has defined her to accept the love she's denied herself and embrace who she truly is? When she is not homeschooling her two sweet kids (with a full pot of coffee at hand), CONNILYN COSSETTE is scribbling notes on spare paper, mumbling about her imaginary friends, and reading obscure, out-of-print history books. There is nothing she likes better than digging into the rich, ancient world of the Bible and uncovering buried gems of grace that point toward Jesus. Although a Pacific Northwest native, she now lives near Dallas, Texas. Counted with the Stars is her first novel. From page one, Connilyn Cossette had me sucked into her second Out from Egypt novel, Shadow of the Storm. Cossette has written a truly vibrant, powerful, and inspirational novel that readers will not want to put down. As the characters and story come to life, Cossette has a way of pulling readers in to the story and falling in love with the characters. Readers will easily relate with the characters and become inspired in the process. I would recommend this novel to readers that enjoy biblical, romance, and inspirational stories. A review copy of this book was provided by Bethany House. A review was not required and all views and opinions expressed are my own.